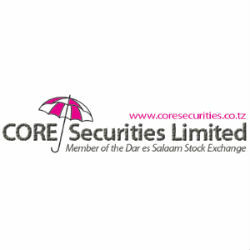 According to the Weekly Market Report of the trading week ended on 6th September 2013 issued by CORE Securities, a leading Tanzanian licensed stockbroker, the Dar Es Salaam Stock Exchange total turnover decreased by 81% to 907.85 million from 4,681.26 million the previous week. Both local and foreign investors participated in the market. Foreign Investors participated by 14.7% while Local Investors by 85.3%. On Friday 6th September the Dar es Salaam All Share Index (ASI) closed at 1616.86 (+0.33%), the Tanzania Share Index (TSI) closed at 1985.36 (+1.16%), the Industrial and Allied Index (IA) closed at 2168.61 (+0.24%) and the Bank Finance and Investment Index (BI) closed at 1995.13 (+2.77%) points. Spot gold was up by +4.98% to 2.240 million per ounce (1 ounce = 31.10 grams) on Friday 6th September.